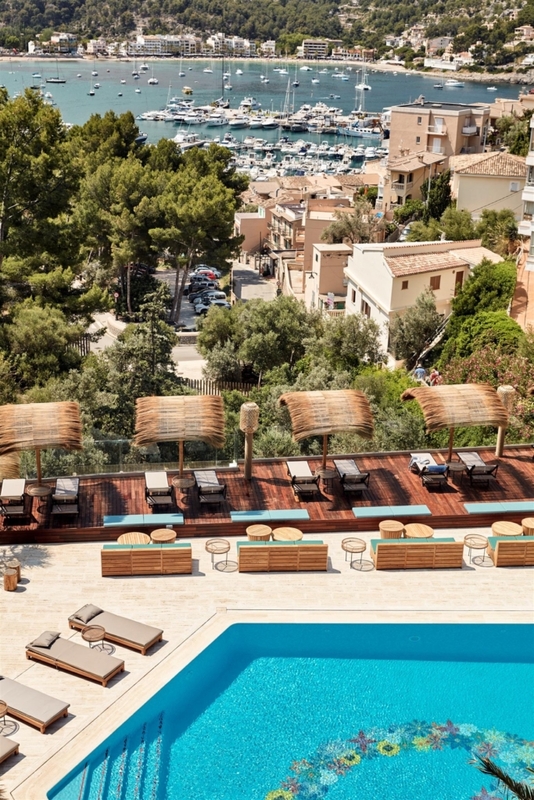 Port de Sóller is a more authentic and relaxed neighbourhood in Mallorca and home to a pretty new luxury hotel – Bikini Island & Mountain Hotel. Taking over an existing building, the hotel was restored to a contemporary standard whilst being sympathetic to the surrounding environment. Located near to the beach, promenade and port, it’s within walking distance of everything you would need during a vacation. 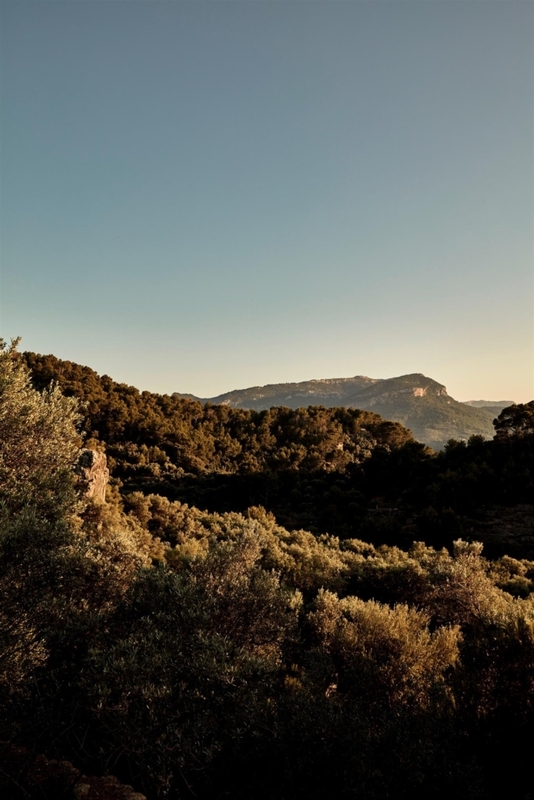 There are plenty of bars and restaurants to explore along the promenade and if you hop on the tram you can also venture out to nearby Palma and Sóller. 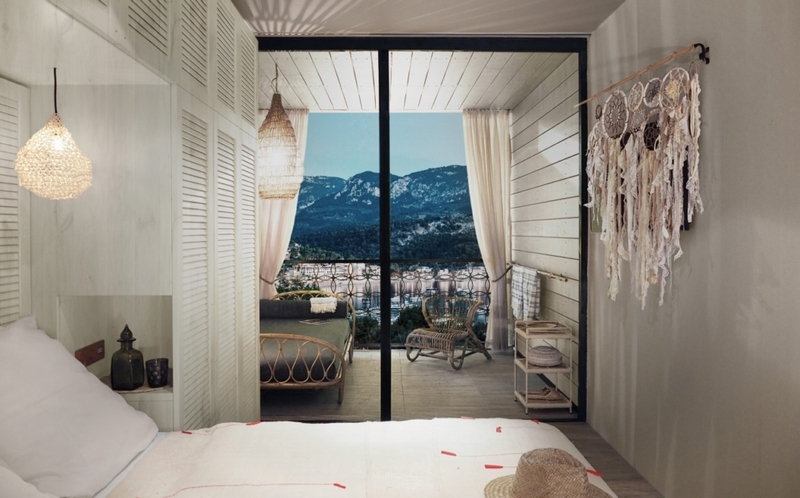 Armin Fischer of design firm Dreimeta has realised a bohemian and Balearic aesthetic throughout the hotel, flowing with a genuine love for the island. Natural and organic materials are fused with bold colours, patterns and widespread use of wicker. In contrast, a psychedelic wall mural by Berlin-based artist Olaf Hajek graces the lobby, portraying colourful butterflies, birds, and flowers, ironically manifested through an inspiring 1960s San Francisco hippie vibe. 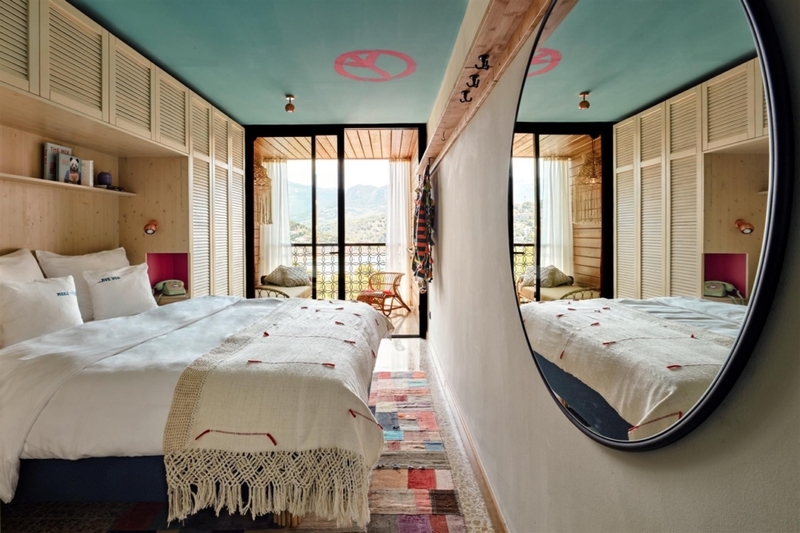 With 114 rooms and suites, we see that hippie vibe expressed further with bold hues, mustard-coloured tiled bathrooms, Asian shell chandeliers and striking multicoloured rugs designed by Deniz Karyüz. 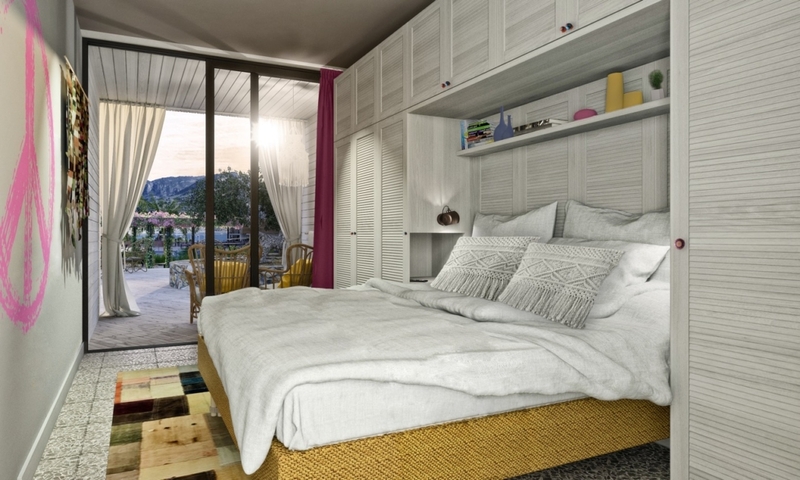 Room types include Garden Rooms, Bay House Rooms, Poolside Rooms, Bay House Suites and Bay Suites, each in different sizes with different benefits. 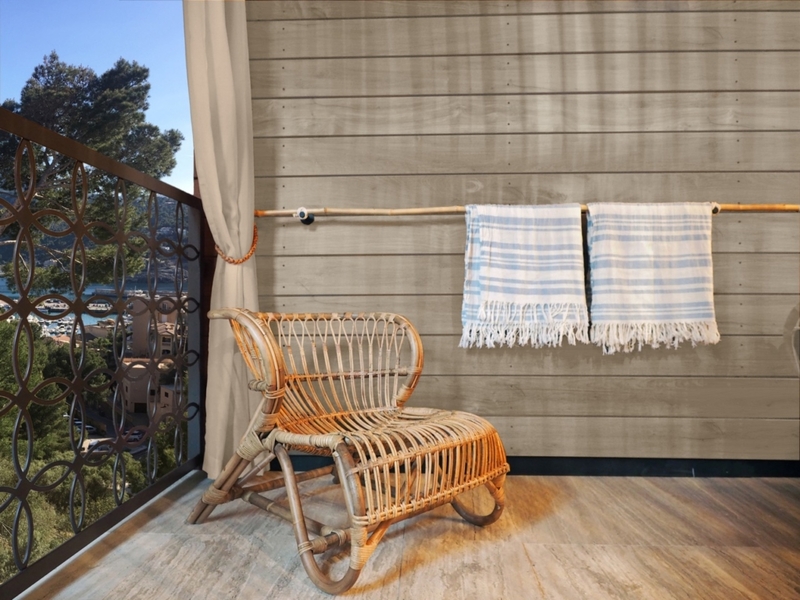 Each room features modern gadgets including Wonderboom wireless speakers by Ultimate Ears plus beach bags by Spanish brand Wouf and every room features a tranquil terrace or balcony, furnished with Indian rattan lampshades and plush bespoke daybeds made in Bali. 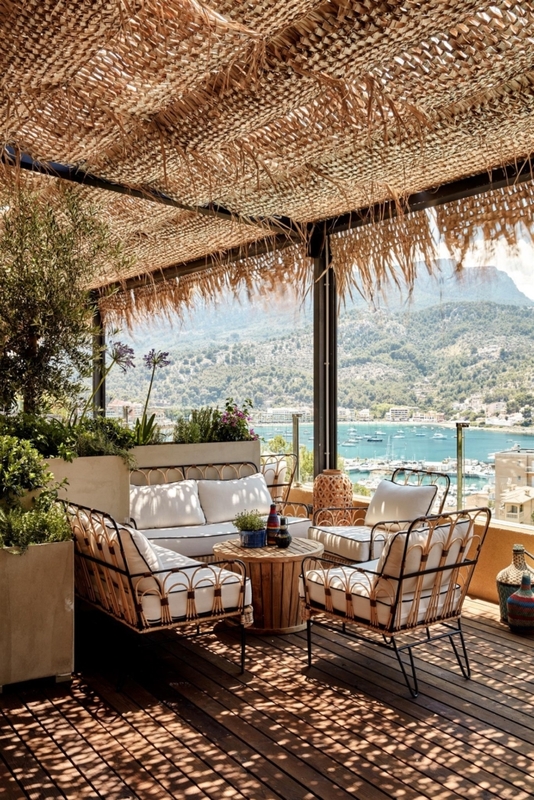 Spaces include Neni on the fourth floor, offering memorable terrace views of the Tramuntana mountains and Port de Sóller with a menu of pan-Middle Eastern sharing dishes. The Donkey Bar specialises in gin with a sixties and seventies soundtrack plus live pianist. With another nod to the hippie era, the pentagon-shaped pool features a unique multicoloured mosaic peace sign on its floor, using a series of small flowers in its design. The adjacent Pikkini pool bar will keep you well-fueled throughout the day and evening and it’s a stone throw away from the spa, which is the only hotel spa in the world to use Santa Verde products in treatments. As a bonus, treatments can take place poolside or in the two treatment areas. 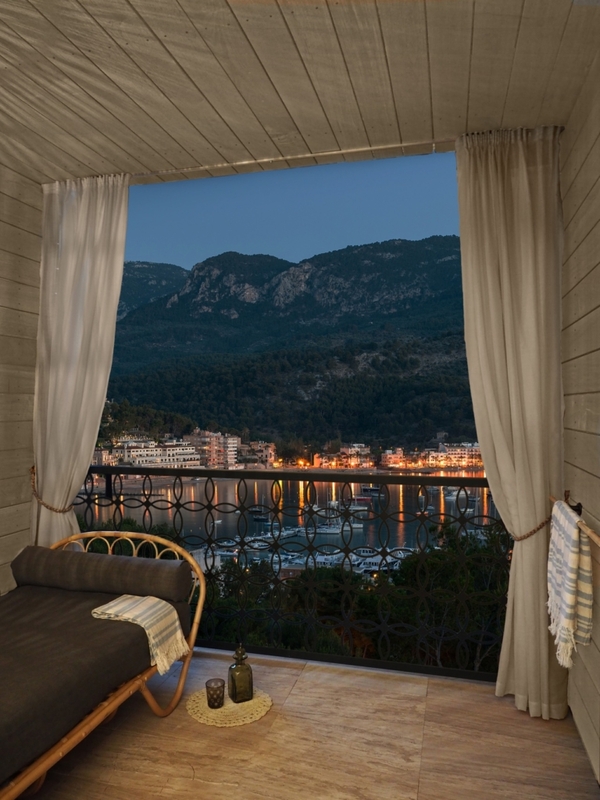 This is a hotel that has been meticulously thought through, whether that be in the design process, but also by providing all the conveniences that smart travellers expect. 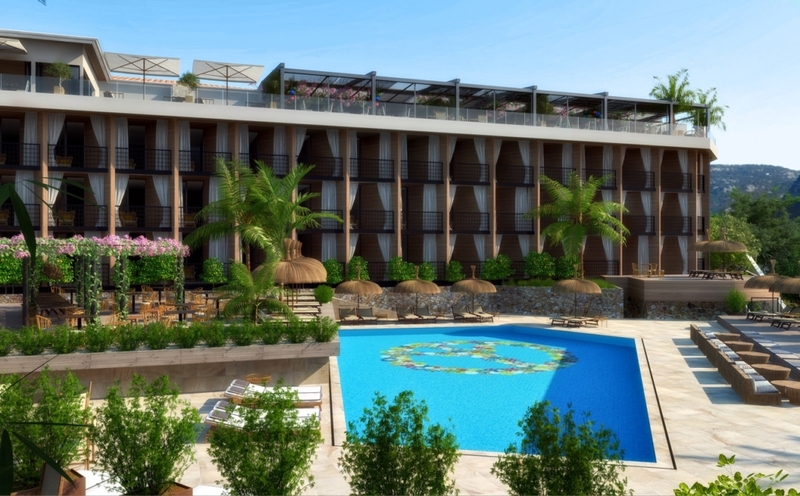 They have successfully complemented yet challenged its environment, which clearly plays a major part in the attraction of this hotel.